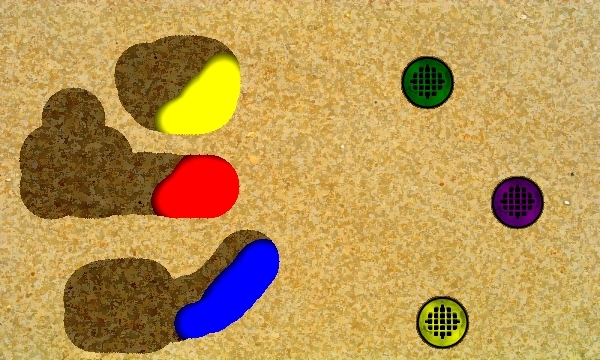 A dexterity-puzzle game developed for the Windows Phone 7 and entered into XMG's "Great Canadian Appathon" competition. Our team was awarded the "Most Technically Challenging" award for the entry. C#, XNA, Microsoft Visual Studio. - 21 fun and challenging levels to test your skills against. 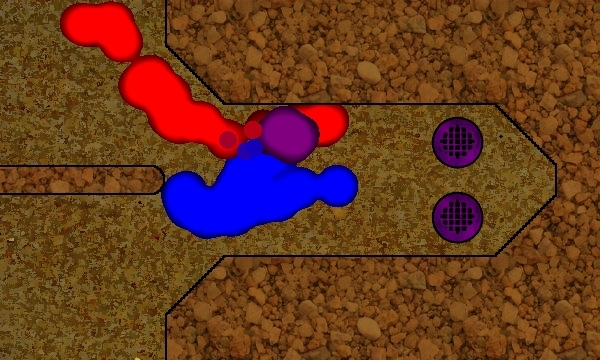 - Mix colors to match corresponding drains. 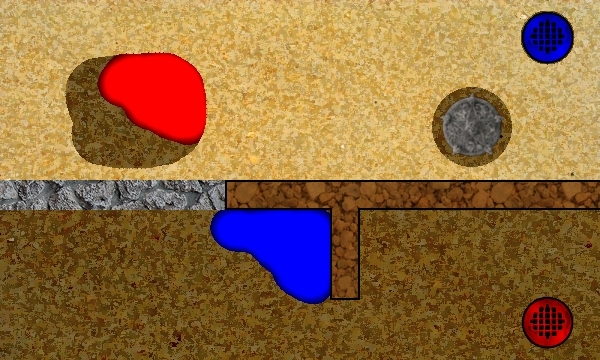 - Dig through the sand using the touch screen to path your way to victory. - Tilt the phone to control the fluids. General Programmer, Designer, Level Designer.